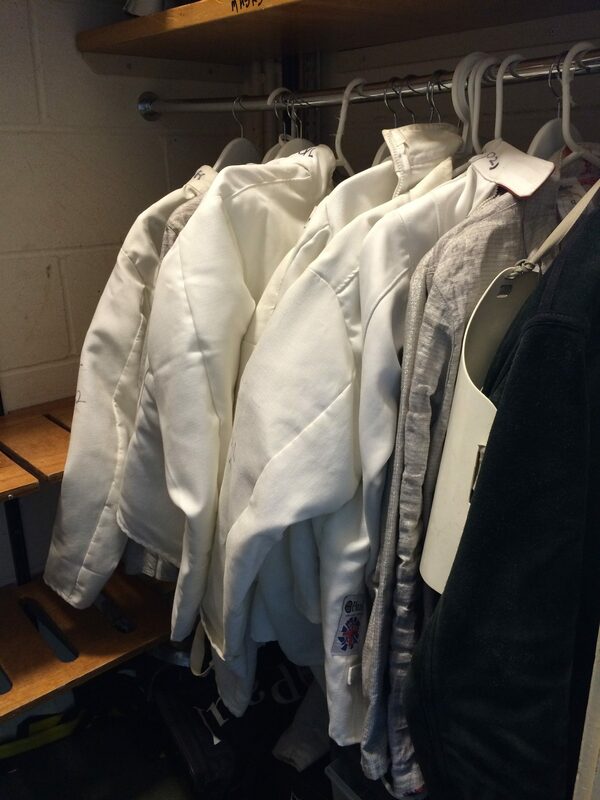 When I told my mother I’d be fencing, she reminded me her sister used to fence competitively – in Ireland in the 1950s. Sadly, my aunt died last December so I can’t ask her for any tips but I secretly hoped I could channel some of her skills and expertise. 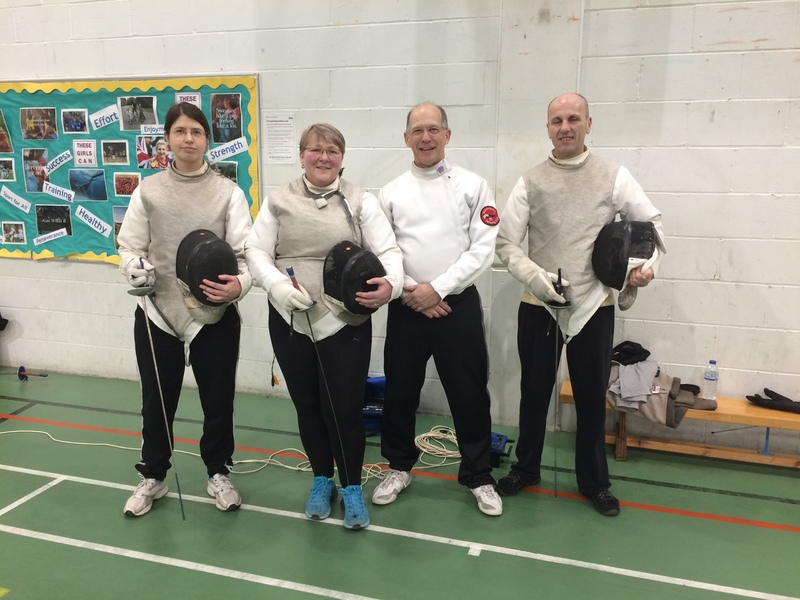 Blackheath Fencing Club describes itself as a friendly and competitive club and says modern fencing is ‘based on efficiency of movement, stealth and tactics’. What’s not to love about a stealthy sport? 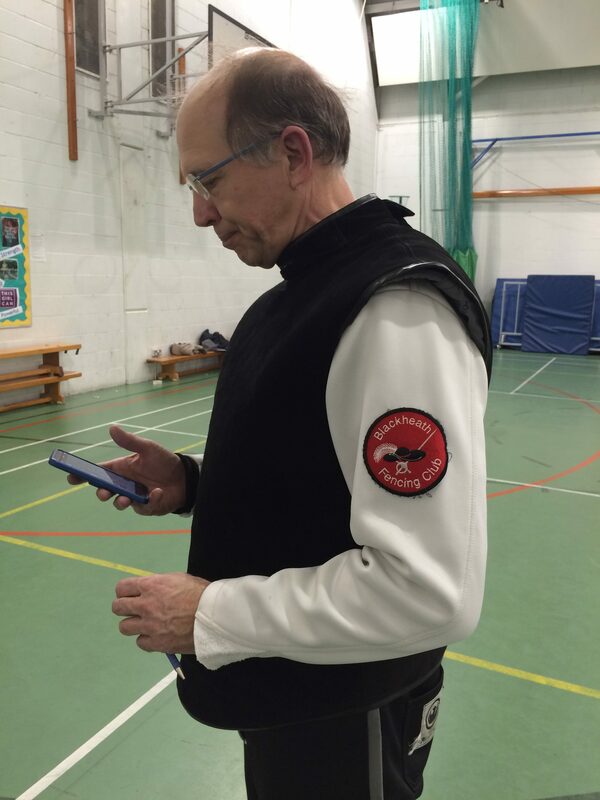 I joined a group of aspirant-fencers for a taster session, where head coach Andrew tested our knowledge of the sport: ‘How many types of Olympic fencing are there?’ I was glad I’d done some homework and could name them – foil, epee, sabre. Foil: a light, thrusting weapon, originally used for training soldiers to fight in battle. The target is limited to the trunk of the body, including the back but not the arms or head. Epee: a heavier, thrusting weapon, originally used for duelling. Hits can be scored anywhere on the body. 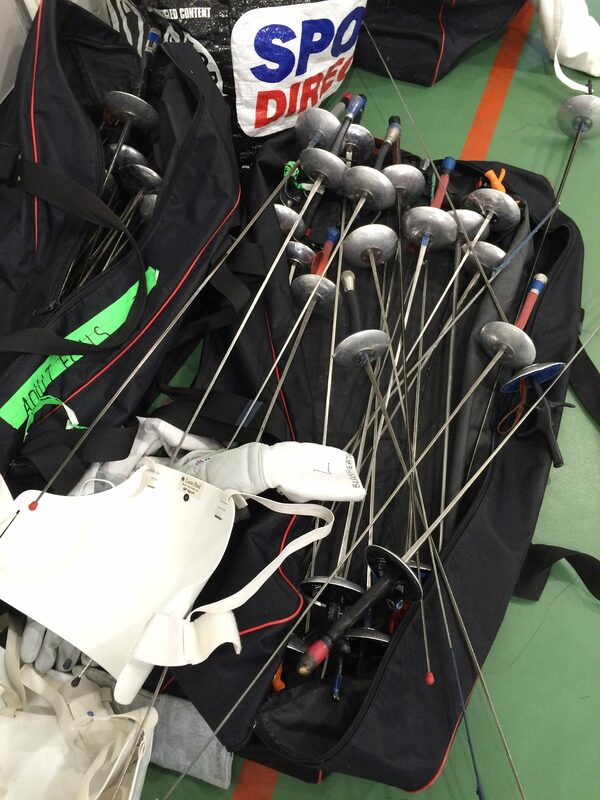 One-hit epee is one of the five disciplines of modern pentathlon. Modern fencing originated in Spain in the 1400s, and was developed and improved by the Italian, and French schools – all three schools are now the most influential around the world. 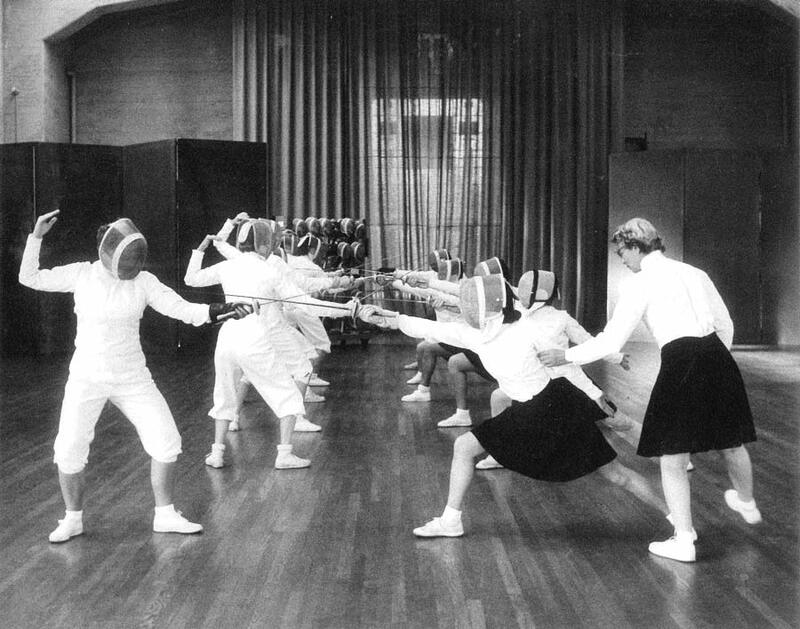 Fencing has been contested at every summer Olympic Games since the first modern Olympic Games in Athens in 1896, and women first competed in foil in 1924 in Paris – when Gladys Davies won silver for Great Britain. There’s a great photo of Gladys that I hope Getty Images will give me permission to share. At Blackheath Fencing Club, Andrew didn’t waste any time. After a warm-up, he explained how to stand (feet at right angles, with slightly bent knees and the weight on the back leg), how to position our arms (right arm bent at the elbow and extended with a relaxed wrist, left arm also bent at the elbow and continuing a line through the body), how to move on the piste (the area on which a fencing bout takes place), and how to lunge (to get closer to an opponent). We practiced, while Andrew made sure we understood the techniques. 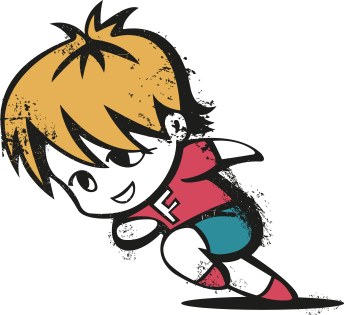 I discovered I could hold my arms in position and lunge without any problem but struggled to master the appel (beating the ground with the ball of the foot), a step fencers use to move forwards and backwards – because there’s no turning round in fencing, everything happens in one plane. Out of the corner of my eye I watched the more experienced fencers, body wires dangling, move at speed along four or five pistes, each bout referred by at least one other fencer. One coach was supervising this group while a third coach took the experienced fencers for 1:1 coaching in a weapon of their choice. Our group took a water break, and Andrew explained how to wear each piece of kit: gloves, plastrons (a one-armed jacket worn under a fencing jacket), jackets, helmets, and chest protectors for the women. He went through a safety drill then gave each of us a blade. We repeated the drills he’d set us at the start of the class and quickly discovered how much more awkward it was to hold the blade and move correctly, wearing the full kit. My glasses kept getting stuck against the inside of the helmet and refusing to move whenever I turned my head. I made a mental note to wear a different pair of glasses. And realised that meant I’d decided to sign up for a series of classes. Over next few weeks, Andrew taught us to parry (defensive action to deflect an attack) and to riposte (offensive action after a successful parry), to make the guard positions (prime, seconde, tierce, quarte, quinte, sixte, septime, octave), and to attack and defend the high and low lines (horizontal line across the trunk of a fencer). A friend (thank you Deborah!) loaned me her foil and a book written by her former fencing coach. And I tried to practice the moves and positions in the garden at home but discovered I needed an opponent to make sure my wrist movements were as small and deft as Andrew had taught us in class. As we approached the end of the course, Andrew asked whether we’d like to learn how to referee, how to score, and to take part in a bout. Would we? For the final class of the course, Andrew explained the etiquette, rules, scoring, and the electrical equipment – an electric box with red and green lights to register valid hits and white lights to register non-valid hits. The box sits on the floor, beside the piste and is connected by floor leads to spools with retractable cables, placed at both ends of the piste, to which the fencers connect their body wires (worn under a fencer’s clothing). 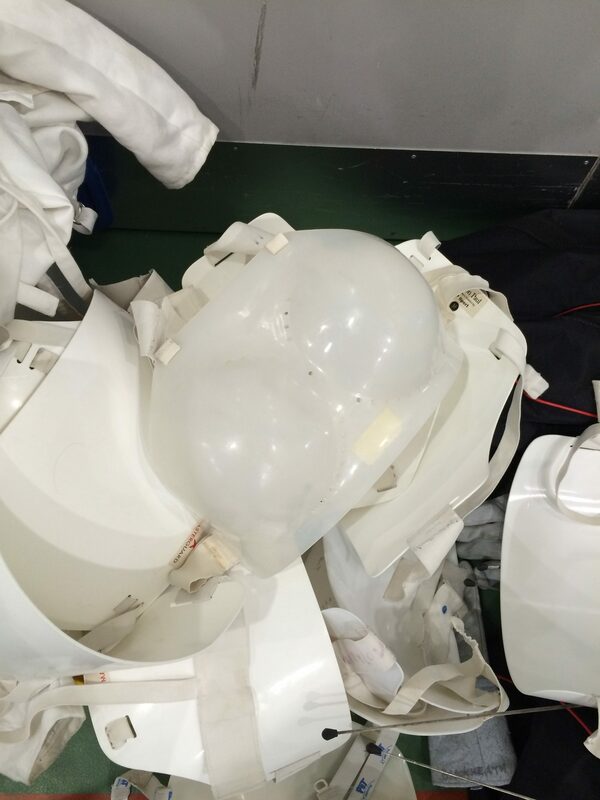 Each fencer wears an additional piece of equipment – a vest which, when it comes into contact with the tip of a blade, transmits a signal through the cable to the electric box. And so we started our first bout. We took it in turns to referee each match, under Andrew’s guidance. And I developed a new respect for fencing referees and their ability to spot which fencer should be awarded a point when both fencers make contact at the same time. I lost both my matches and got to help referee the final. My opponents told me later my fencing style was quite assertive and easy to anticipate – so I obviously need to concentrate on my stealth techniques. 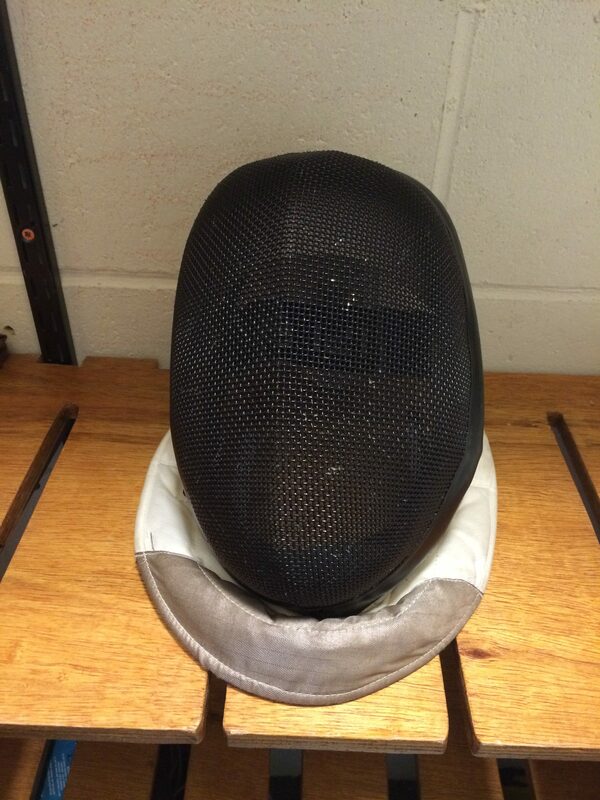 I’ve taken a break from fencing while I continue with Freyathlon but I’m not ruling out a return to fencing.